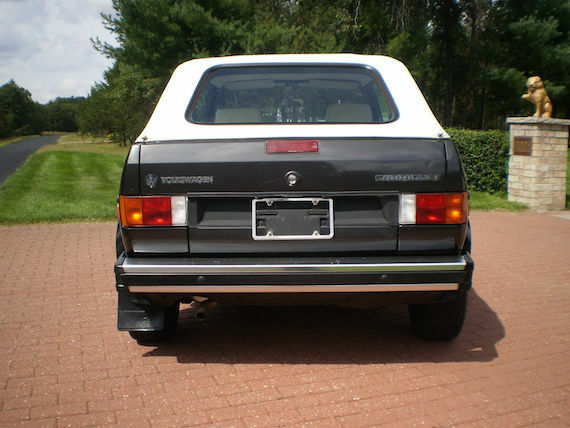 My love for the Mk1 Volkswagen body styles is well-documented, and it extends even to the little-sister Cabrio. Today’s has covered a shockingly-low 28k miles, mostly as an RV attendant. 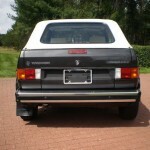 Top to wheels, it’s a gorgeous example of 80s Volkswagens. We’ve all had the convertible argument, and while many still frown upon them, the extra fun can’t be denied. My hierarchy may start with the GTI closely followed by the Caddy, but if a Cabriolet were going to be in the collection, a low-mileage Wolfsburg is about as good as you can get. Cant buy me love……. 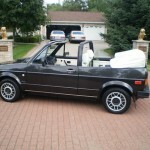 Yes this 1987 VW Cabriolet was famous in the movie with Patrick Dempsey it truly put a following on this car. 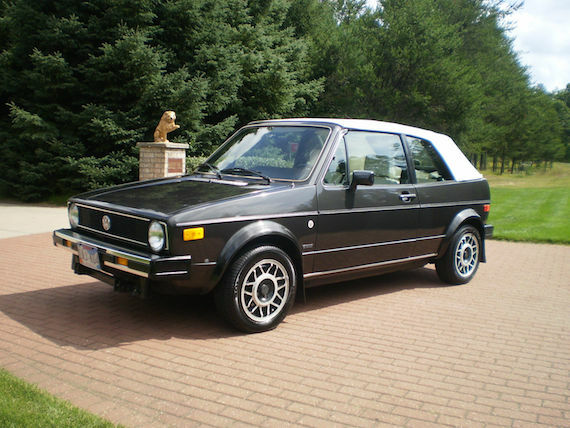 This 1987 VW was originally sold New in Rapids City South Dakota and has been there ever since. She is 100 % rust free and all original paint. The Graphite metallic is very shiny and has only minor road rash on the front grill from the owners pulling it behind their motor home. This car was always in a Motor home family and only used for their commutes. I purchased the car from a woman who has had it for 3 years and it stayed in her showroom of her business and she never had the time to drive it. So she decided to let her baby go and now someone will get an amazing car. This is a Wolfsburg Limited Edition car. 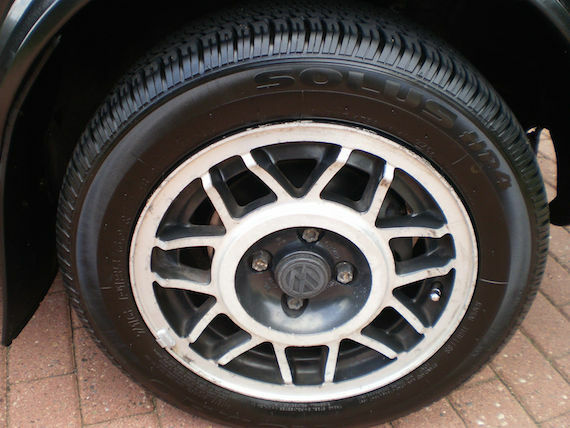 The white leather interior is in excellent condition with the seats being very soft and supple only your usual wear on the drivers seat but nothing major. The carpets are black and in excellent condition. The dashboard is pristine as is the shifter. The car has a new Kenwood CD player and I also have the original AM/FM Cassette player as well. The car also has AC which was a option. 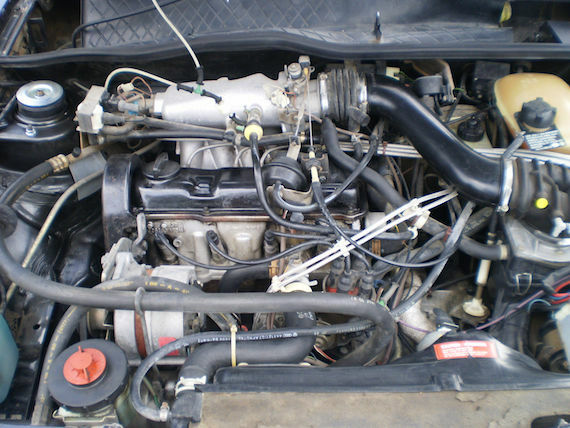 Its still the original R12 and is ice cold. This is very rare to see. Also the car has cruise control as a option and it works perfect. P.S. I am setting the reserve at a very fair price and someone will truly get an amazing Cabrio. He says the reserve price is fair, but the Buy-It-Now seems like a moonshot. If it were a 28k mile GTI, we’d be singing a different tune. 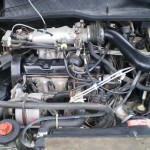 Here, I think somewhere around $7k is reasonable for the outstanding condition, great care, and low miles. 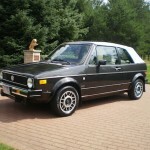 It’s not the biggest VW market, but we appreciate the top examples of any old German model – and this is certainly one. 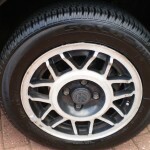 Tagged 1987, Cabriolet, Convertible, Golf, mk1, Rabbit, Volkswagen, Wolfsburg Edition. We have an interesting dilemma here. Do miles racked up while the car is being towed on its wheels count as miles on the car? We are told this car has spent some time being towed and the tow bar under the bumper suggests it was flat towed rather than on a dolly or trailer. With only 28K miles showing, you have to assume that either A) they never went very far with it; or B) they disconnected the speedometer cable while it was being towed. If it is actually B, you have to wonder how vigilant the owners were about reconnecting the speedometer cable once they reached their destination. Also, keep in mind that broken odometer gears is a common failure point for these cars so you really need to have service documentation to back up the mileage claimed. The condition of the car is amazing except that the detailing guy needs to put down the bottle of Armorall… At this point most of these cars are completely trashed so the mileage question may not be an issue. As with all used car purchases, a thorough PPI and records inspection is vital. 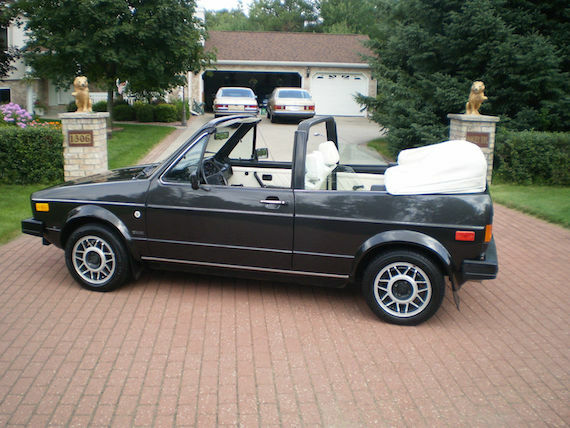 The buy it now seems like a huge stretch, but as the owner of another ’87 Cabriolet I hope the seller gets it. Ours isn’t this nice, but it would be great to see the prices jump up. Modern stereos (and they are always cheap ones at that … ) always look so lame in these older cars. No class.